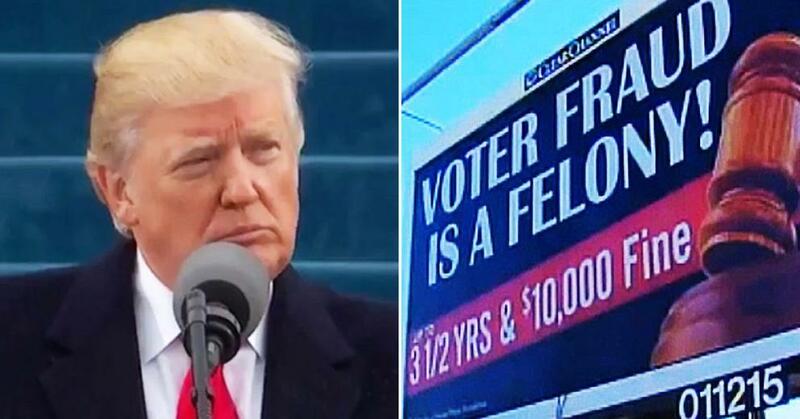 With only a few weeks to go before the highly-anticipated midterm election, President Trump issued a stern warning to those who may have some intentions of cheating at the polls. Before that, the President was busy urging people to go out and vote, while also actively campaigning for Republican candidates. Some groups in several states have alleged that some state officials closed polls, changed voter requirements, and remove registered voters resulting in voter disenfranchisement. States under close watch are Georgia, North Dakota and Arizona. Voted early last week in my county in Ga. While there I heard a Low IQ female openly state she was there to cast another vote. The Poll watcher immediately flagged her and she was pulled aside. It seems she freely admitted she had gotten a the Stacy Abrams (socialist-democrat) for Gov. pre-filled Illegal Absentee ballot and had used it. She actually thought it entitled her could vote twice once by phony ballot and twice by being there in person. If she had kept her mouth shut she likely could have gotten away with it. BTW: Spoke with a Postal Person I know to be MAGA, about Absentee Ballots delivery rumors I have been tracking. keep absentee ballots out of the system. Absentee ballots should only be used out of necessity, not convenience. It is not asking a lot to make the short trip to your local polling place. Now the people that live in large cities will probably have to wait a bit but that’s what you get from living in a big city. I’m a ruralfag and it takes 3 min to the town hall and another 2 to check in, get my ballot, go fill it out, and feed it into the counting box. For how important voting is it’s plenty easy and does not need to be made more convenient. Absentee ballots are an ultra easy way for bad people to cheat the vote, cause at the end of the day are you positive your ballot actually was delivered, counted, and the vote applied to the candidates you chose? While I’m at it, might just as well remove straight ticket checkboxes and the (R) or (D) behind the candidates name. It’s put there for retards that don’t do any digging prior to doing the MOST important regular duty of a citizen. I will bet more libs would be lost w/o the affiliation marker than conservatives. this is in stark contrast to Obama actually ENCOURAGING voter fraud. it's on youtube. California may have hope after all! POTUS please come & rally for the good people of Ca. Perhaps there will be some problems with the NPC leftist`s. Yet I see that as a good thing as they can get a police record & some jail time over the unlawful & violent protests that may erupt. The more of those goons arrested & off the streets the safer us law abiding citizens will be. Just look at how red most of the California counties were in 2016! I don't trust absentee ballots, too many hands touching them on the way to being counted. I vote in person, and I always vote in every election no matter how small.